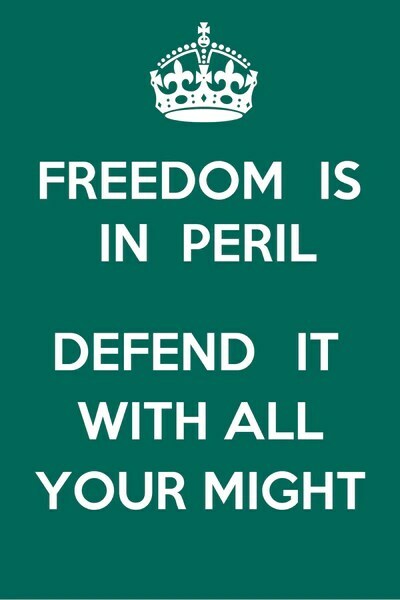 You can find ‘Keep Calm’ posters, placemats, teatowels, mugs and of course Keep Calm T-shirts absolutely everywhere now, but not many people know the history behind this iconic WW2 poster. 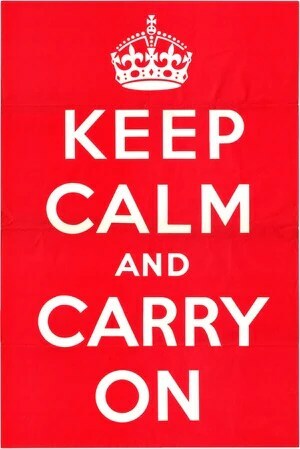 Created in 1939 by the Ministry of Information the original ‘Keep Calm and Carry On‘ poster was part of a motivational campaign by the British Government meant to reassure the general public who were facing the threat of war and the prospect of aerial bombing and poison gas attacks which were predicted in the run-up to World War 2. 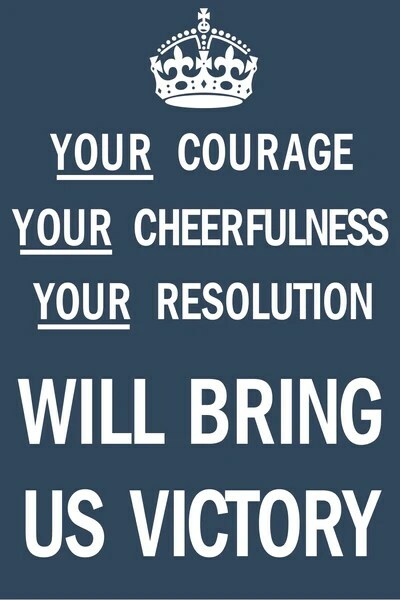 The poster was one of a series of 3 posters, the other 2 being: “Your Courage, Your Cheerfulness, Your Resolution Will Bring Us Victory” and “Freedom Is in Peril. Defend It With All Your Might“. Contrary to what you might imagine, the poster wasn’t widely displayed at the time. 2.5 million copies of the poster were originally printed but never released and they were all pulped later in the war. One copy was kept in storage and it was only when the poster was re-discovered in 2000 that it became popular. The crown on the poster represents a Tudor crown, a symbol of the state which was widely used in emblems during the first half of the 20th Century. It doesn’t represent a real crown, but is similar to the small diamond crown worn by Queen Victoria (below). Who would have guessed that a poster which was kept for public release because it was deemed patronizing would be so popular today! Perhaps it would have been a success at the time after all! See our full range of Keep Calm T-shirts here. Image copyright: This artistic work created by the United Kingdom Government is in the public domain.